The center united Batumi State Kapel, the ballet corpses of the Batumi Opera and the State Ballet Theater, the children's and youth music center. After the reorganization in 2007, the Bolshoi Opera Studio named after Z. Anjaparidze and Nota quartet were transferred to the musical center. Since 2008, the children's and youthful musical theater has been renamed the youth musical theater. The musicians delighted the music lover with famous songs like "The Girl from Ipanema" which was performed by Frank Sinatra , "Unsuccessful Dating" by Alexander Tsfasman, as well as various Georgian medleys. The quartet was met with applause from the public. 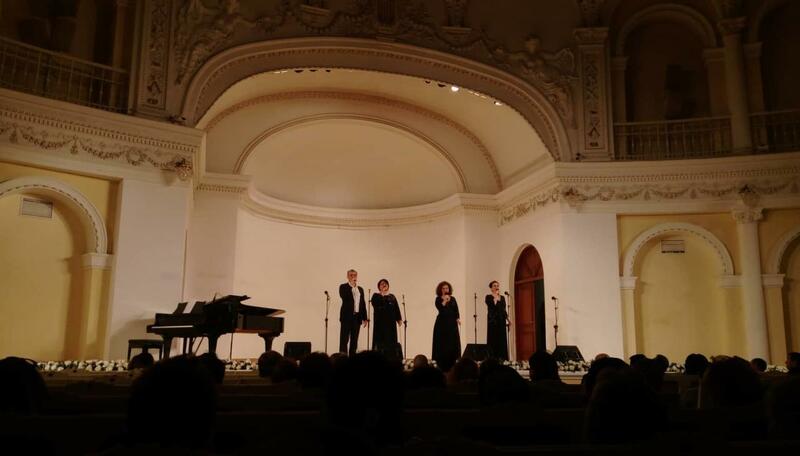 But the hall was waiting for a surprise from the musicians - the performance of the Azerbaijani song "Dözmədi Qəlbim", which aroused the delight of the spectators. The Youth Musical Theater Ensemble presented Georgian and foreign compositions, including "Batumi" and "Wind Will Blow", The Last Crusade" by Epica, etc. In the conclusion, the musicians performed a song by Muslim Magomayev "Blue Eternity".